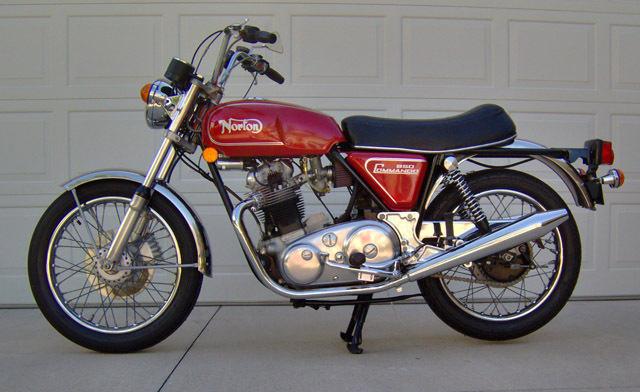 1974 Norton 850 Commando. 8,300 Miles. Fully restored from top to bottom. New tires, new exhaust system. Matching numbers. Runs strong. Very clean. I have the factory air cleaner. It is all stock.